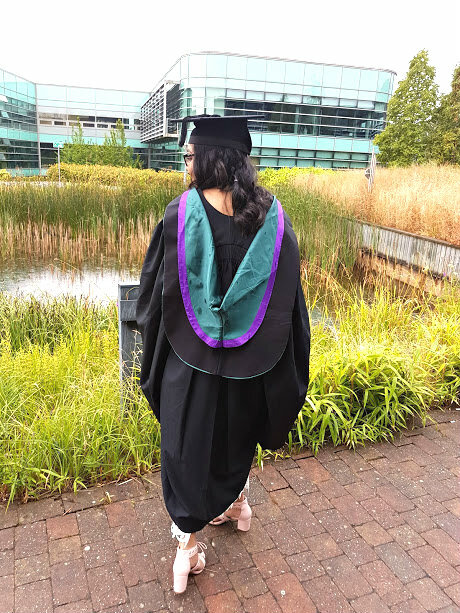 If you don't follow me on social media (if you, I really apologise for repeating myself) then you might not know that last week I actually graduated from univeristy! It has been a tough three years, there is so much that I would love to go back and change but now its time to focus on the future and what is going to happen next. 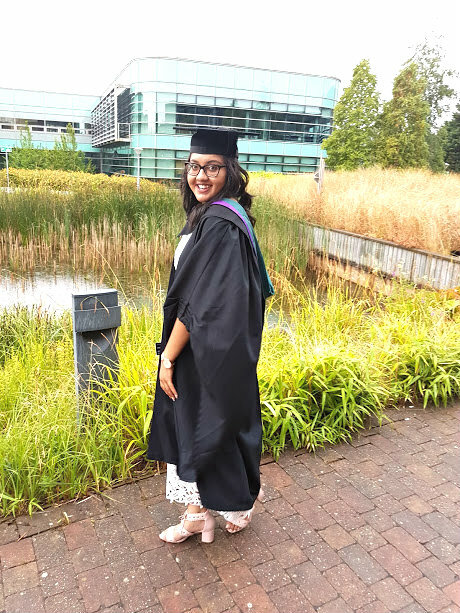 This blog has been through my entire univeristy life, from when I first got accepted, freshers week which was different to your typical fresher, finishing first year, then completing second year and now graduation. Its crazy when you look back at these posts and think about how much has changed in the space of three years. Graduation Day itself was everything I hoped for and more, I didn't get my makeup done but had my hair done early that morning. The main ceromony was at 5 in the evening, but we had to be there by 3 so it was a busy day! I opted for a simple braid through the back of my hair and then loose curls, my makeup was very simple with a bit of glitter on the eyes. For my outfit, I went with this white lace dress from Marks and Spencers. 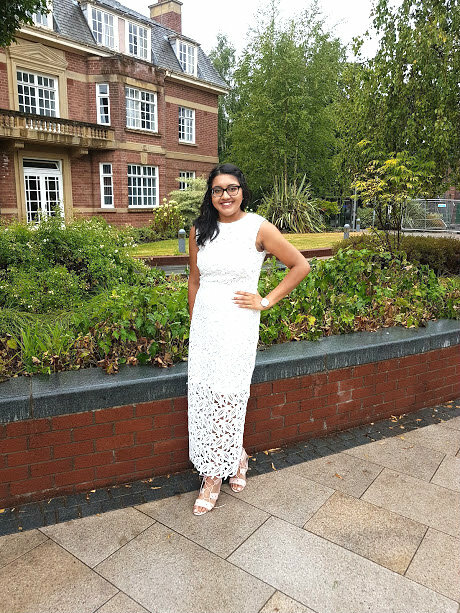 My intial idea to wear white came from the fact that we have had so much sun in the UK and the colour would look lovely, but it rained :( It didn't stop me though! I paired the dress with simple rose gold accesories and these pink heeled sandals from Debenhams. I recieved such lovely comments on my dress on the day and on social media, its a new found favourite of mine. Also, no one actually told me how heavy the gown and cap is!! When I took it off in the evening, my body felt so light! There is all this excitement, all the nerves, the money spent on something that literally lasts 10 seconds. A walk across the lecture hall, a hand shake and then back to my seat but, it was the best 10 seconds of my life. It was the moment that everything hit me, I am now a primary school teacher. I've actually done it and with all my family there supporting me, the day just felt magical. We also went for food after, which was 100% the best part of the day of course. Everything just went perfectly and seeing my friends graduate too was amazing, so proud of everything they have achieved too. So, the big day is over and another chapter in my life is closed but that doesn't mean it stops there. I am busy preparing for my first teaching job in September. My to do list is longer than my arm but getting everything ready is so exciting, my classroom is slowly coming together and my planning is taking place. There is so much to look forward to and I can't wait to open and start another chapter in my life. Between now and then, I hope to get a little ahead in blog post writing - this blog is something that I want to keep doing and hope that I can keep doing it, so here goes another exciting year!